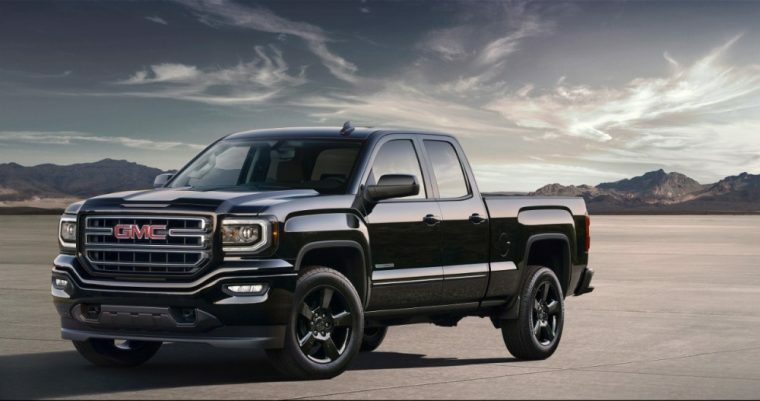 Rolling on 20-inch black-painted aluminum wheels and featuring a restyled front-end complete with a body-color grille surround and body-color bumpers, the 2016 Sierra Elevation Edition is one impressive truck that boasts serious attitude. The 2016 Sierra Elevation Edition will be available for Sierra double cab models and will feature a new radio complete with a 7-inch screen that is compatible with Apple CarPlay and Android Auto. This truck will also feature OnStar LTE and a built-in Wi-Fi hotspot. Powering this truck is a standard 4.3-liter EcoTec3 V6 engine good for 285 horsepower and 305 lb-ft of torque. An optional 5.3-liter EcoTec3 V8 engine is also available, which is capable of 355 horsepower and consumers also have the choice of either 2WD or 4WD. Standard features included on the 2016 Sierra Elevation Edition are a six-speaker audio system, remote locking tailgate, a 110-volt AC power outlet, outside heated power-adjustable mirrors, and remote keyless entry. Other available features for this model are XM Radio, a rear vision camera system, trailering equipment, and all-terrain tires. The 2016 Sierra Elevation Edition is scheduled to become available during the first-quarter of 2016.